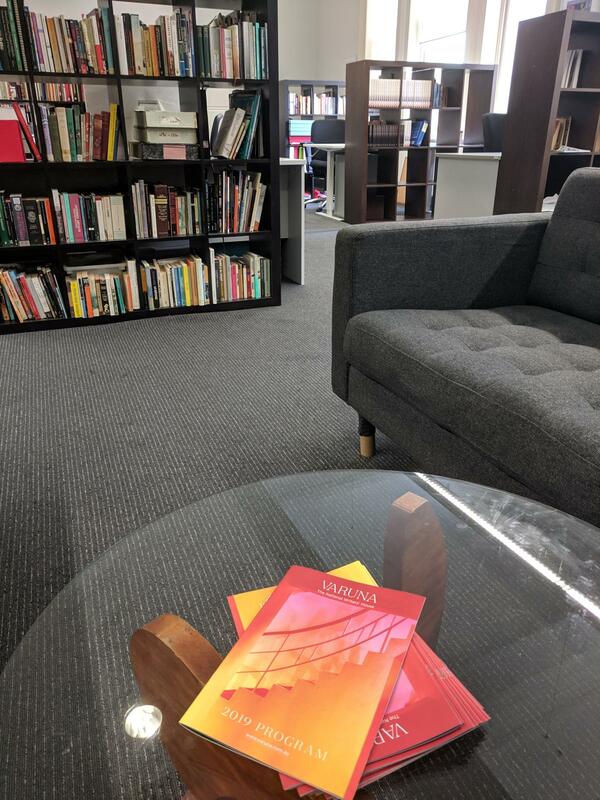 New writers, established writers and aspiring wannabee writers are welcomed at The Sydney Writers’ Room. The room is a cauldron where writers of many interests and disciplines mingle. A quiet space, the room provides a respite from the distractions of home, a ready alternative to the café or the oversubscribed desks of a public library. From film and television, to novels and poetry, history, journalism and new media. All who labour long at a keyboard agonising over the placement of words can find a home in the Sydney Writers’ Room. Current members are working on short fiction, long fiction, non-fiction, journalism, scriptwriting, academic theses and poetry. Applicants do not have to be established writers but ideally should be serious about developing pathways for publication for their work. Fees: $150 per month, plus a one off moving-in fee of $100 and returnable key deposit of $100. Includes: Round-the-clock access to one of our “hot-desks”; your own private locker and Wi-Fi. Fees: $220 per month, plus a one off moving-in fee of $100, and a returnable key deposit of $100. Includes: Round-the-clock access to your own permanent desk and shelving and Wi-Fi. A concise statement that describes the project/s you intend developing in the Sydney Writers’ Room. A short CV including writing achievements to date. One professional or personal referee. Please submit your application using our contact page.